Ashes, Wine and Dust would be available across Pakistan by the end of November. Set in Lahore and Washington DC, Ashes, Wine and Dust is a journey of a young girl, Mariam, whose childhood experiences of loss of loved ones and memories associated with them make her feel everything a little more deeply. Thus, since her childhood, she feels more connected with the memories of her dada (paternal grandfather) and less with the rest of the family. Memories of her childhood friends and confidants still haunt her when she decides to leave for the US for further studies and in search for self-exploration. Thus, America awaits her with the mysterious art work of her uncle who had left her family years ago, his family who no longer cares for his work, and an unexpected incident that leaves her vulnerable in an estranged land. And while Mariam is figuring out on how to cope with her current situation, she finds out about the disappearance of her younger brother, Abdullah. Alone in a foreign country with a brother missing, she blames herself for Abdullah’s disappearance and eventually travels back home in search of clues which might lead her to him. As the family goes through the trauma of loss of a loved one and ultimately decides to move on albeit slowly, Mariam hangs on to the clues that Abdullah has left and vows to unite him with their family. Javed’s Ashes, Wine and Dust is an excruciatingly beautiful read with strong characters that are often difficult to find in a debut novel. The story is gripping and engulfed in such an exuberant tone of despair and desolation of the protagonist that it keeps you in the mood even after you’ve finished the book. The imagery of Lahore with its canals, food, colourful bazaars (markets) and backdrop of Badshahi Mosque in several scenes brings back the love of Lahore for those who have visited the beautiful city and invites those who still haven’t. While Ashes, Wine and Dust is a powerfully gripping read till the end, it did let me down towards the end. And although the book ends with a closure, tying all its loose ends, I would have been happier had it ended on a brighter note. Nevertheless, the book is a must read of 2015. Javed has done a wonderful job writing a novel that is unswerving, profound and painfully beautiful till the very end. 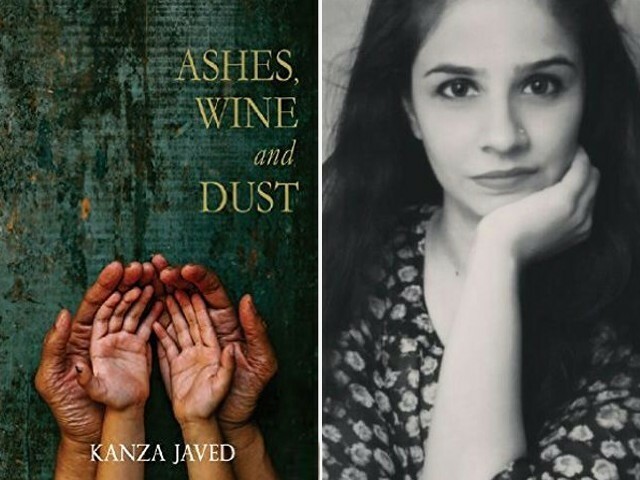 Ashes, Wine and Dust would be available across Pakistan by the end of November. So make sure you head to your nearest bookstore and grab a copy of your own!